The Jewish people believe that a messiah will rescue humanity close to Judgement Day by building the "Kingdom of God" by means of ousting the ruler of that time and gathering the Jews in Jerusalem. Similar beliefs in a messiah are also present in Christianity and Islam, but they are in different forms. Sabbatai Zevi was a rabbi, who was born in İzmir in 1626. 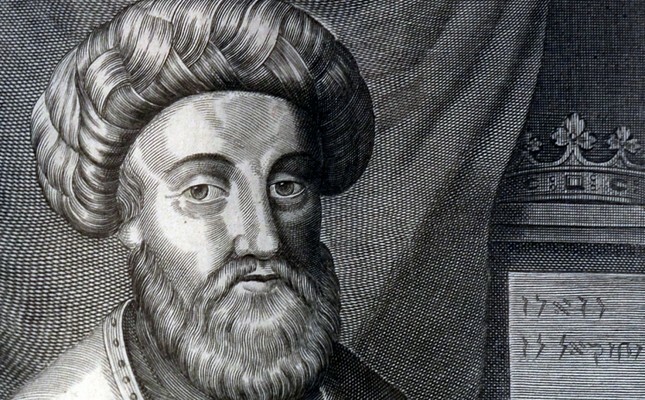 In 1648 he declared himself as the long-awaited Jewish messiah. Even though he was followed by a handful of people, Zevi made numerous trips around the Ottoman Empire. His reputation reached its peak in 1666, which he considered to be the beginning of Judgement Day. He made changes in Jewish prayers as he replaced the name of the Ottoman sultan with his own. Some started to believe that he was "the savior king" of the Jews. Zevi divided the world into 38 kingdoms, and appointed men loyal to him to each one of them. Eventually, the chief rabbi reported him to the government and Zevi appeared before then Sultan Mehmed IV. Fearing persecution and death, he seemingly converted to Islam and took the name Mehmed. Regarding Zevi's conversion, however, Shaykh al-Islam Vânî Mehmed Efendi said, "I know it like the back of my hand that this man did not become a Muslim. However, our religion honors appearance." All of his followers also declared themselves Muslims and Zevi, who resided in Gallipoli, did not remain idle. He issued 18 principles of a sect called the Sabbataism. Among them were aspects, such as following Muslim customs, worships and holidays in public, and not marrying foreigners. Zevi, who was later caught while secretly performing rituals with his supporters, was questioned by the Grand Vizier Fazıl Ahmed Pasha and exiled to Albania along with his followers. He died in exile in 1676 and was buried in Ulcinj. Since the issue was resolved with exile, the government did not carry out Zevi's death sentence and more importantly, the Ottomans would not interfere in anybody's belief unless they threatened the order of the state. Sabbataists usually called themselves "Ma'aminim" (believers), "Haberim" (associates), and "Ba'ale Milhamah" (warriors). They made the esoteric interpretation of the Torah (Kabbala), interpreted many orders and laws in Judaism differently, and followed a path similar to that of the Batiniyya in Islam. They read Zevi's Torah interpretation called Zohar (Light). A hundred years after his death, Zevi's followers were divided into three sects, namely Yakubi who regarded Yakub Qerido as the next messiah, Karakaş who believed that Osman Baruya Ruso carries the spirit of Sabbatai Zevi, and Kapancıs who maintained the Zevi tradition. They kept their distance, and did not allow inter-sect marriages or marriages with foreigners. They even had separate cemeteries for men and women. The Sabbataists, whom the Jews saw as heretics and excluded, maintained a Muslim-like appearance for many years, but followed their own beliefs and rituals in private. Even sheikhs, including Sheikh al-Islam (Hayatîzâde Emin Efendi-1748) emerged from this community, which mostly lived in Thessaloniki, İzmir and Istanbul. It was sort of an intellectual congregation that had ties to Europe and spoke a few foreign languages. They played an important role in Ottoman modernization with their abilities, and took up key positions. In fact, most of the members of the Young Turks, who ended Sultan Abdülhamid's reign in 1908, were Sabbataists. Thus, Zevi's dream came true in the early 20th century, and a de facto Sabbataist power was established in the Ottomans. Though small in number, Sabbataists occupied a very important place in Ottoman social and political life towards the fall of the Empire. Notable figures of the community included Journalists Hüseyin Cahit Yalçın, Hasan Tahsin, Halide Edip Adıvar, Ahmed Emin Yalman, Namık Zeki Aral (Bülent Ecevit's father-in-law), Halil Lütfi Dördüncü, Abdi İpekçi, Dinç Bilgin, Sabiha Sertel; Young Turk politicians Cavit Bey, Mithat Şükrü Bleda and Dr. Nazım; Foreign Minister Fatin Rüştü Zorlu and Undersecretary of prime ministry Ahmed Salih Korur, two of the last Foreign Ministers İsmail Cem and Emre Gönensay, Professor Sıddık Sami Onar, who were among the ones that prepared the 1961 constitution, and businessman Halil Bezmen. While Ottoman society called those who became Muslims "muhtadi" in the sense of "finding the right way," they spared the Sabbataists title and called them "Doenmeh" (proselyte) or Awdaty (religious converts) or Selanikli (person from Thessaloniki). To anyone who asked Osman Kibar, the former mayor of Izmir, if he was a Doenmeh, Kibar would have replied, "Yes, but I have turned 360 degrees." In order to raise their children as intellectuals and remind them of their selves, they established institutions like the Feyziyye Schools and Şişli Terakki High School. There, besides a large number of Sabbataists, education was also offered to some Muslim children. Selanik Feyzi Sibyan School, in which Mustafa Kemal Atatürk had enrolled, was also one of their institutions. It was there that Director Şemsi Efendi (Simon Zevi) gave religion lessons. Journalist Itamar Ben-Avi (1882-1943) had claimed that he interviewed Atatürk at the Kamenitz Hotel in Jerusalem in 1911. A young officer at that time, Atatürk, told him that he came from the line of people who believed in Zevi, but he accepted himself as a Turk. He even said that his father had hired a Karaite Jewish teacher to teach a Torah printed in Venice. Mustafa Kemal read a prayer that he recalled, "Sh'ma Yisrael Adonai Eloheinu Adonai (Hear, O Israel: the LORD is our God, the LORD is One) and that it was his secret prayer. Sabbataists gradually got rid of the strict divisions among themselves. They consisted of sincere Muslims, those who turned to atheism and people who maintained the classical Sabbataist tradition. Their lifestyles set an example for the understanding of secularism. They dominated the world of cinema and press. One of Turkey's first motion picture companies, İpek Film belonged to the İpekçi family. Even though the mystery on the Sabbataists was unveiled with disclosures made by a Doenmeh named Karakaş Rüştü, who was thought to be used by the Jews in the 1920s, the government prevented it. Cavid Bey, the finance minister of the Party of Union and Progress, was in the position of the leader of the Sabbataists, which was one of the reasons behind his execution in 1926. The Capital Tax issued in 1942 was collected from Sabbataists twice as much as it was Muslims. This group, thought to have a few thousand followers in Turkey, is believed to conduct secret activities, under minority psychology, resist the liberal thought and democratic development in the name of preserving the status quo.